Spin Freight evolved as a result of our ability to meet the demand for reliable, time sensitive supply chain solutions in the Kansas City region. 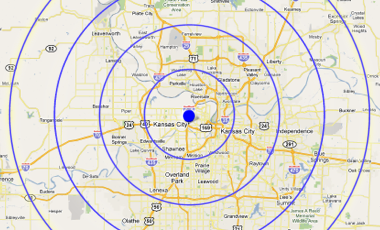 The SPIN FREIGHT Difference - Serving the Kansas City region. Doing business with people you know, like and trust. It’s a simple philosophy that drives our organization. These days, anyone can put a truck on the road and call themselves a carrier. The transportation business has been commoditized. Carriers come and go. So what makes Spin Freight Different? For us, it’s all about meeting our customer's commitments through TIMELY EXECUTION. We recognize success comes in the value and service we deliver to our customers. These core values allow us to build lasting RELATIONSHIPS with our customers. At Spin Freight, we are in the relationship business, not the trucking business. We don’t just deliver freight. We deliver COMMITMENTS – PROFESSIONALLY and TIMELY. Give us a call or send us a message. Let us know how we can make your life easier. You may find that we become someone you know, like and trust. Thank you for visiting. We invite you to learn more about Spin Freight and compare us to the others. 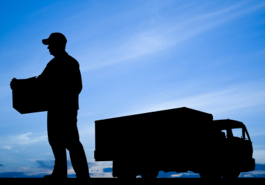 At the end of the day, all carriers and shipping companies transport freight from Point A to Point B. The Spin Freight difference is the COMMITMENT & TIMELY EXECUTION we give to our customers and their needs. All Rights Reserved • ©2018/2020 • Spin Freight Services, Inc.